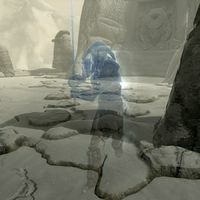 The Lost Paladin is a Nord ghost who is encountered at Forelhost during the The Lost Paladin quest. The quest requires you to kill him and take Chrysamere from his remains. This page was last modified on 19 September 2018, at 21:35.